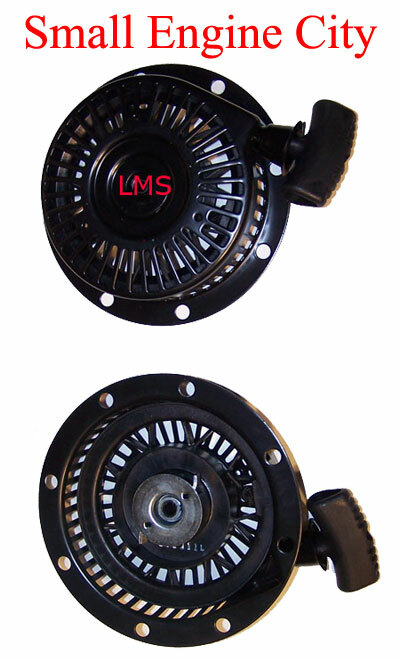 Snow Blower Recoil Starter Replaces Tecumseh Part 590694, 590686, 590737 and 590785. (mounts with screws through the side) Starter Recoil for 4 or 5 HP Tecumseh. Picture shows front and rear view. 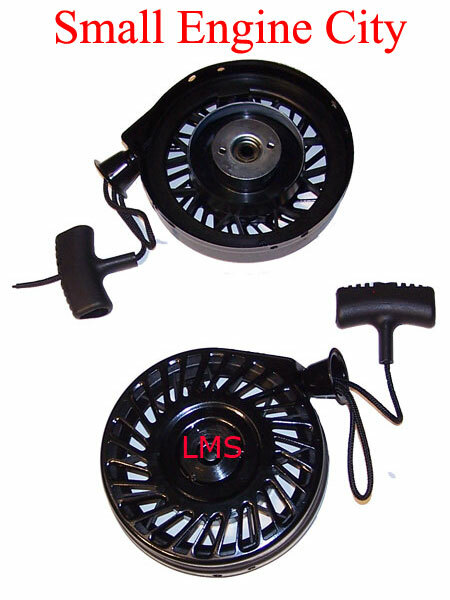 Snow Blower Starter replaces Tecumseh 590672, 590733, 590749, 590749A and 590789. Fits most OH318SA, LH318SA, HMSK80, HMSK90, HMSK100 and HMSK105 models. 6-3/8" across starter - bolt to bolt - Has Ring around starter dogs to keep snow out of starter dogs as shown in picture. 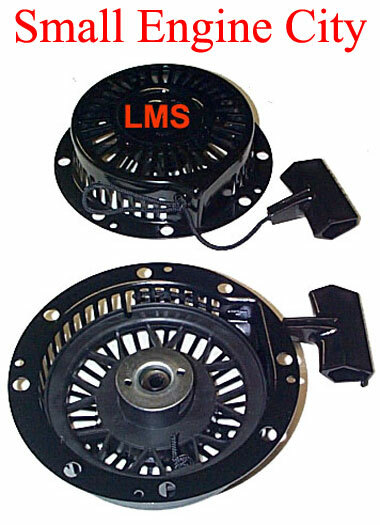 Summer Style Recoil Starter Replaces Tecumseh 590704 / 590746 / 590748 / 590748A / 590788. 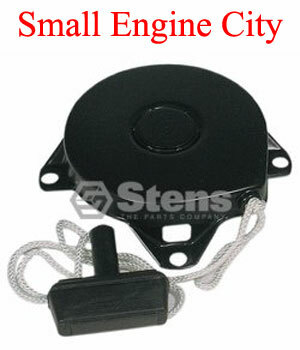 Fits Most HM80 - HM90 - HM100 - LH318XA - LH358EA - OH195 - OH318 - TVM220 - OHH50 - OHH60 and OHH65 Tecumseh Engines. QTY 1 (Front and back view shown) Does not have ring drip ring around starter dogs for winter use making this a summer use starter.